I've decided to start doing a series on my favourite authors, probably focusing more on lesser-known authors, but including some better-known ones as well. I'm not sure how often I'll post these, but I'll try to keep it fairly regular. 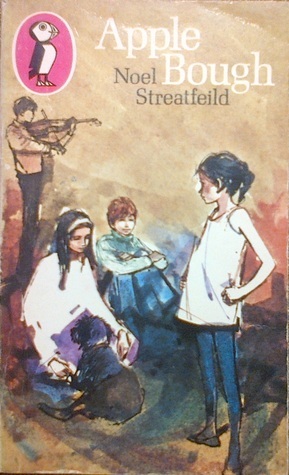 Mary Noel Streatfeild (1895-1986) was an author who wrote a great many children's books (and also some adult books, although I haven't read any of those). Recurring themes in her books include: family (most books focus on a group of siblings or cousins); children who are especially talented, mostly in the performing arts (acting, dancing, or music), although other talents and interests such as sports (swimming, tennis, skating) also appear; dealing with financial difficulties (sometimes in creative ways). The best known of her books is Ballet Shoes, her first children's novel, published in 1936. Portrayal of family life: her families are mostly fairly realistic (except in terms of the amount of talent possessed); they don't always get on but are mostly loving families still. There is a lack of parents in quite a few of her books (as in many children's books), but the sibling relationships tend to be very well done. Wish fulfilment: many of the children are very talented, and get to dedicate a lot of time to doing what they love, perhaps even making money from it from a young age, and a few become famous. Even if you've never really wanted to be an actor or a dancer, it's easy to fee like you do when you're reading the books. Details of everyday life: I like that she often tells you how various details are organised, how much things cost, and so on. For example, Party Shoes goes into quite a lot of detail on the difficulties of creating costumes for a pageant the children are putting on, when rationing was still in place. It makes the books feel more realistic, in spite of the amount of talent the children possess; and despite this, they still have to work hard to be good at what they do and to overcome various difficulties. Her books cover quite a long time period - from the 1930s to the 1970s; most of her books are set pretty much exactly when she wrote them. So from a historical viewpoint it's interesting to see how things changed over this time; in Ballet Shoes for example we have characters who are quite poor (or consider themselves to be) but still living in a big house with servants; which is certainly not the case in later books. Several books take place during the war and rationing of food and clothes also presents problems in some books. In the later books, the characters travel a lot more, often by plane, film acting becomes more common as opposed to stage acting (although both are there), and the children sometimes attend comprehensive schools (when they aren't at stage schools), rather than just private or grammar schools. And there are lots of little details and attitudes that change over time, that make it quite interesting to read some of her books from different decades. Ballet Shoes: The best-known of Noel Streatfeild's books and probably the best, this is the story of three orphans who are adopted by Great-Uncle Matthew (Gum). Pauline, Petrova and Posy are very different girls who attend a stage school (not all willingly) and discover their respective talents, performing in plays etc. to help earn money which they are struggling for. Meanwhile hoping for Gum to come back and sort things out. Despite the title, it's more about acting than ballet, although that does feature since Posy, the youngest, is obsessed with it. Theatre Shoes (Curtain Up! ): This is a sort of sequel to Ballet Shoes, set in wartime London. Another trio of siblings are given scholarships by the Fossil sisters to attend the stage school that they went to, giving them the chance to discover their talents (or, perhaps, lack of). Skating Shoes (White Boots): Harriet is advised to take up ice skating as a form of exercise to help her recover from an illness. To her surprise, she turns out to be very good at it, and makes friends with another girl, Lalla, who is the daughter of two skaters and has been raised to be a star in it. Unusually for a Streatfeild book, Harriet's siblings don't feature much in the story, but there are some good home scenes in it too. 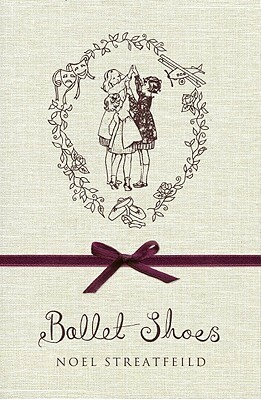 Ballet Shoes for Anna: This is another book about a ballet-obsessed girl. Anna and her two brothers are orphaned by an earthquake in Turkey, and have to go and live with an aunt and uncle in England, who are unsympathetic to Anna's ballet dreams (and to the children in general). Since they won't pay for Anna to have ballet lessons, she and her brothers have to come up with inventive ways to make some. Travelling Shoes (Apple Bough): This is my second favourite of her books. Another family of four children, all named after famous musicians; Sebastian, the second oldest, is a world famous violinist, despite being a child - but since he isn't old enough to be allowed to perform in England (he has to be twelve), he and his parents and siblings travel the world so he can play in lots of other countries. The other three, especially Myra, the eldest, are getting fed up of this and want to settle down somewhere, but their parents are keen to keep the family all together (rather than leaving the others with their grandparents for example). So the book follows Myra's desire to find a home for them, whilst Wolfgang and Ethel (the two youngest) discover talents of their own. 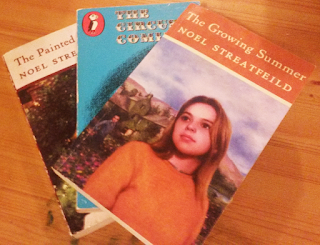 Have you read any of Noel Streatfeild's books? Which ones did you enjoy most?